Sunlight filters through the green leaves of the forest canopy, illustrating the power of life and illuminating the natural beauty of this brilliant Green Leaves Drink Ticket. 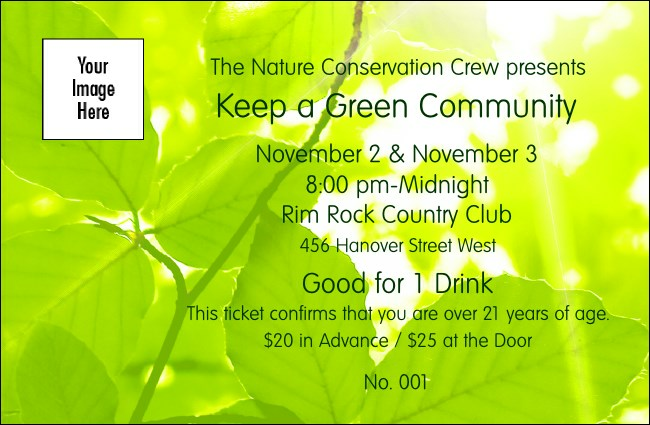 Part of our Nature Series Green Leaves Event Pack, this Drink Ticket template is designed to help you earn more money at nature focused, conservation, environmental, and green initiatives. Great ideas are growing at TicketRiver.com.au.